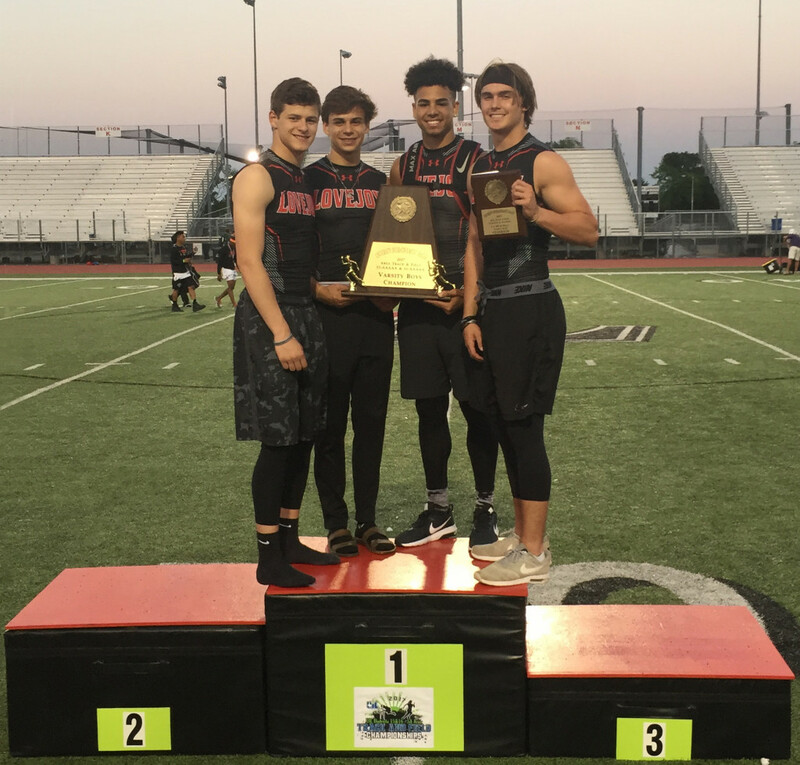 Lovejoy Boys’ Track and Field team continued their success by winning the District 15/16-5A Area Championship on Thursday. The Leopards outscored 14 other teams to finish with 125 points. Texas High finished with 113 points to take the runner-up trophy. Six athletes had top four finishes in multiple events. Ryan Brands (3200m and 1600m), Jake Chamberlin (4x100m Relay, 400m, and 200m), Beau Iovinelli (4x100m Relay and 4x200m Relay), Landon McDermott (4x100m Relay and 4x200m Relay), James Rainey (Shot Put and Discus), and Chase Van Wagoner (Long Jump, 4x100m Relay, 100m, and 4x200m Relay) are all headed to the Regional Track and Field meet to compete in multiple events. The Leopards had another successful day in the field events, scoring 41 of the teams 125 points. Rainey won the Discus event with a distance of 145′ and finished 3rd in the Shot Put, with a distance of 50′. Colin Engbrock broke his own school record, clearing 14’6″ to win the Pole Vault competition and Jeremy Young finished 4th, clearing a height of 13′. Chase Van Wagoner won the Long Jump with a distance of 22’5″. In the running events, Ryan Brands (3rd) and Bradley Davis (4th) started the day off with two top four finishes in the 3200m. The Leopards 4x100m Relay team (Iovinelli, Chamberlin, McDermott, and Chase Van Wagoner) won the event with a time of 42.18. Tyler Van Wagoner finished 3rd in the 110m Hurdles, setting a new school record with a time of 14.96. Chase Van Wagoner followed that up by finishing 2nd in the 100m, tying the school record. The Leopards 4x200m Relay team (Iovinelli, Ryan Gordon, McDermott, and Chase Van Wagoner) finished 3rd, also setting a new school record with a time of 1:29.62. Chamberlin continued the scoring with 2nd place finishes in both the 400m (49.16) and the 200m (22.60). Brands’ first place time of 4:33.27 in the 1600m sealed the victory for the Leopards. 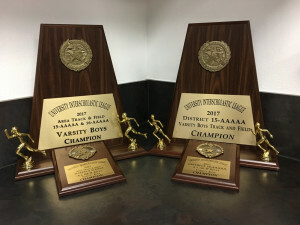 The Leopards had 14 top four finishes, sending 11 athletes to the Region II Track and Field Championships to be held at the University of Texas at Arlington’s Maverick Stadium on April 28th and 29th.